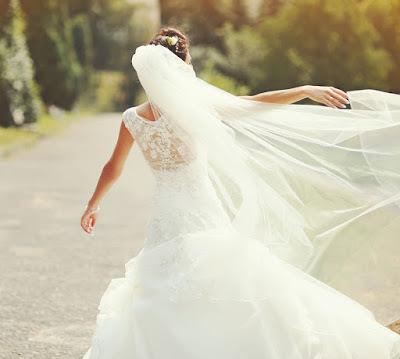 With so much to think about on the day of the wedding, it's no wonder that many brides find themselves stressed and a bit frazzled. It shouldn't have to be that way, though; you will only live your wedding day once, and you should take the opportunity to relax and enjoy the moment. Here are a few great suggestions for staying calm on your wedding day, courtesy of your friends at WhereBridesGo.com! The brides who are the most stressed out are the ones who try to take care of everything themselves. Weddings are (usually) big events - you can't expect to handle everything on your own and stay completely calm. Make things easier on yourself by delegating certain last-minute tasks to your bridal party or family/friends you trust. Do yourself a favor and talk to these people in advance to verify that they will be willing to take on some extra day-of responsibilities. By clearing this ahead of time, you won't have to feel bad about asking them on your big day. If you have a standard morning routine, don't skip it on your big day. If you normally go for a run, do some yoga, or enjoy a long shower or soak in the bathtub, it's important to give yourself time to do it on the morning of your wedding, too. This will give the day a sense of normalcy that will help keep you calm. 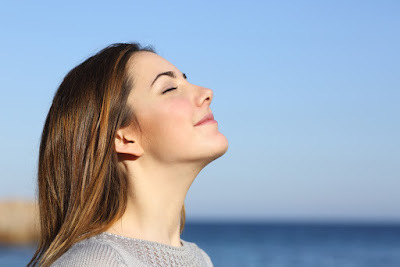 As cliché as it sounds, taking deep breaths actually works wonders. It forces you to slow down, oxygenates your body, and gives you a chance to clear your head and regroup. Any time you start to feel yourself getting nervous and/or upset about something, take a few deep breaths and delegate the task to someone else. Getting married is a big deal! Our culture puts so much emphasis on engagements being a time of excitement - and they are. But they are also a time when women and men are planning to ceremoniously and legally tie their lives together, and that's a step that should not be taken lightly. A lot of brides get upset if they catch themselves feeling nervous about the wedding, thinking that something must be wrong. Nervousness doesn't mean that something is "wrong," however; it's simply a natural part of the process. At the end of the day, no amount of planning and preparation can guarantee that everything will go perfectly. Mistakes are bound to be made and timing is bound to be off by at least a few seconds here and there. You won't be able to fix everything - nor should you be. You will be able to keep your cool on your wedding day if you learn to accept things that you cannot change. There's no point in letting it stress you out if you can't do anything about it! Trying to please everyone is quite possibly the biggest dilemma any bride will face. Weddings are typically big family events, and everyone in the family seems to think it is their right to inform you exactly how they think it should go. The sooner you accept that it is humanly impossible to make everyone happy, the sooner you can stop driving yourself crazy. Being late or feeling rushed puts a huge amount of stress on everyone involved. Give yourself a break by getting ready with plenty of time to spare. Getting your hair and makeup done early can prevent the stress of worrying about whether or not you're going to be ready in time - and gives you more time to take pictures with your bridesmaids! By following these simple suggestions, you will be able to greatly reduce your stress levels on your big day. If you do catch yourself feeling stressed, don't get down on yourself for it - simply take a few deep breaths and allow yourself time to reset. It's your wedding day... give yourself time to enjoy it!